Control various aspects of the Centro functionality through this centrally-installed software. The Global Settings tab allows you to name and assign microphones and cameras as well as set how failures and messages will be displayed, which audio inputs are recorded and, how the outputs will be used on a global basis. 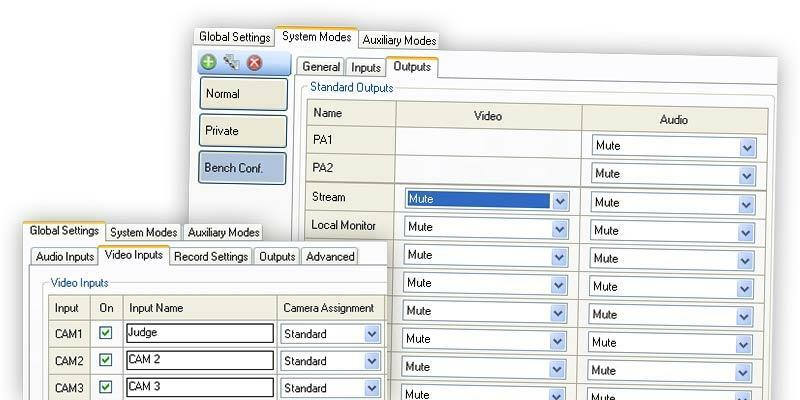 The System Modes tab allows you to create and edit System Modes as well as assign cameras and microphones to be muted or active during those modes. The PA can be set to have pink or white noise during any mode. The System Modes tab will also allow you to configure serial control of microphones and cameras, and adjust input levels on the microphones. The Auxiliary Modes tab shows a list of pre-defined modes that have been designed into the Centro. This tab allows you to rename modes, adjust input gain and enable or disable the mode. These modes can be initiated in conjunction with any system mode. Have Questions? Let one of our representatives help. The Audio Inputs tab shows all of the microphones connected to the system. Initially, the default names of the microphones are displayed; these names can be changed to suit your needs. To change the name of a microphone, select the appropriate Input Name and type the new label desired. The Outputs tab provides control over which A/V signals are present on each Centro output. From this tab, you can set titles and title positioning. The Description label can be changed by selecting the selecting the appropriate field and typing a new name. The Outputs tab will provide control over which A/V signals will be present on each Centro output and allows you to set titles and title positioning. The Description label can be changed by selecting the field and typing a new name. Features abound with advanced audio settings, which display the status of the mic via OSD and provide input adjustments for Adaptive Noise Interval, High and Low Pass Filters, as well as Common Mode Group assignment and Phase. If selected the failure will be displayed on any output OSD assigned to display Failures. If selected the Mute will be displayed on any output OSD assigned to display Mutes. The time interval set for mixer development. Four groups are available. Assign microphones in close proximity to a group; adaptive threshold can be then be adjusted for those microphones. Low Pass Filter: Setting in KHz, for removing unwanted high frequencies. 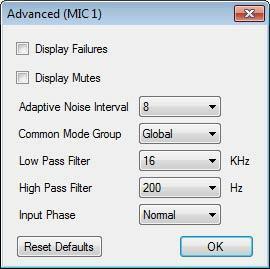 High Pass Filter: Setting in Hz, for removing unwanted low frequencies. Input Phase: Setting will allow for phase reversal of the microphone. Reset Defaults: Use this button to reset all parameters back to the JAVS defaults. The Video Inputs tab contains all of the cameras connected to the system. The default names for the cameras are displayed but can be changed to suit your needs. Standard: This selection allows the camera to be used in the normal switching mode. Remote 1: This selection will only use the camera when in a Remote 1 mode. Remote 2: This selection will only use the camera when in a Remote 2 mode. Remote assignments are used for recording conversations in a remote location. 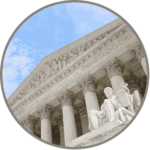 For example, if camera 1 and Mic 1 are in another room, such as a judge’s chambers, you must assign each to the same remote input. When remote inputs are selected, the video and audio from that location will not be present on the remote monitor. JAVS defines this as “Mix Minus”.